Banking Codes article presents the list of Banking codes of the country. 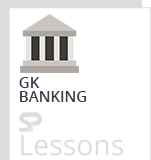 Knowledge of Banking codes and terms related to banking codes enables the users for easy and quick money transfers in the online mode through electronic gadgets. Banking codes is an important topic for General Awareness section of different competitive exams in India. Below listed are the important Banking Codes. Banking Codes are the identification codes and are used for the purpose of electronic money transfer between financial institutions, mainly banks. Which means one has to mention these codes when transferring money from one bank to another. IFSC stands for ‘Indian Financial System Code’. If you are in India and wish to transfer money from one bank to another within the country, you can easily do it once you know the IFSC codes of both the banks. IFSC required whether you are using RTGS, NEFT or CEMS, which are different payment systems developed by RBI. The IFSC code is even printed on the cheque books or passbooks issued by all banks and one can know the IFSC code by looking at the cheque slip. This is a 11 digit code assigned by Reserve Bank of India for the identification of the bank branches. the last 6 characters representing the bank branch. Example: IFSC Code of Punjab National Bank PNBN0014976. Here, PNBN – represents the name of the bank, which is Punjab National Bank. The fifth character 0 is Control Number. Last six characters (014976) represents the branch. MICR (magnetic ink character recognition) is a technology used to verify the legitimacy or originality of paper documents, especially checks. Special ink, which is sensitive to magnetic fields, is used in the printing of certain characters on the original documents. Information can be encoded in the magnetic characters. The use of MICR can enhance security and minimize the losses caused by some types of crime. If a document has been forged – for example, a counterfeit check produced using a color photocopying machine, the magnetic-ink line will either not respond to magnetic fields, or will produce an incorrect code when scanned using a device designed to recover the information in the magnetic characters. Even a legitimate check can be rejected if the MICR reader indicates that the owner of the account has a history of writing bad checks. Retailers commonly use MICR readers to minimize their exposure to check fraud. Corporations and government agencies also use the technology to speed up the sorting of documents. MICR characters can be read easily by humans. It is a 9-digit code. The last three digits represent the bank branch. Example: MICR-No of a branch of Punjab National Bank is 110024490. Here, 110 – represents represent the city code of the bank branch. The second characters 024 represents the bank code. Last 3 characters 490 represents the bank branch. SWIFT code stands for ‘Society for Worldwide Interbank Financial Telecommunication’ code. A SWIFT code is a universal way of identifying banks throughout the world. The SWIFT code is an 8 or 11 alphanumeric characters code that uniquely identifies financial institution. If a SWIFT code is eleven characters, this means that the bank has added a three-digit code to denote a specific branch of a bank. It is the standard format of Bank Identifier Codes (BIC) which is approved by the International Standard Organization (ISO) and represents a particular bank or bank branch. The purpose of these codes includes the transferring of money between banks especially for international wire transfers and also used for exchanging of other messages between banks. The last 3 letters or digits represent the branch code. Example: SWIFT Code of Punjab National Bank is PUNBINBBDRG. Here, first four alphabetic character PUNB represents the bank name. The next two letters or digits BB represents location code. The last 3 characters DRG represents branch code.